This is your introduction page and must engage your audience immediately of a brief summary of who you are what you do with a clear description of the services you offer most importantly how you can be of help to your audience. 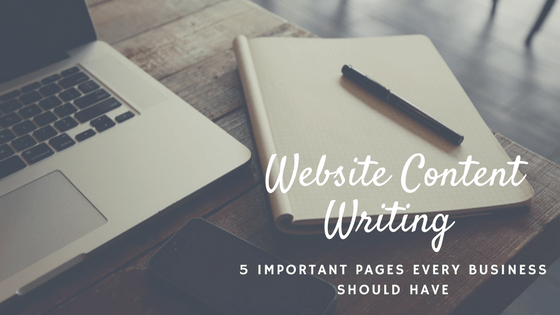 The Home page has to be very well written so as to engage your audience from the very start, but it should also be honest so you straight away build trust and credibility. This page should cover a good description of who you are, your background any recognitions and history of your business. You should be able to distinguish yourself from your competitors with what makes you different. It should give a complete history about your background and what makes you unique among your peer group. It should cover everything about your business that makes it special. You can add your bio data, pictures and anything you would like to share with your organization and its staff. In the services pages, you should give a detailed brief of the services you offer and what makes you different or better than your competitors. If your offering sports equipment, you should look at having separate landing pages with the different sports and all the equipment with professional services that you offer. Make this page really engaging by highlighting your services offered with clear content and intent. Although this page may sound like an optional feature you will be amazed at what creditability and trust you can gain from testimonials of your services from your customers. It carries more significance if the testimonials have specific websites and other details of your customers as well, so a person can look at taking a reference from your satisfied customers about your services and credentials. It justifies all you talk about yourself from the voice of an audience which makes customers feel more comfortable with your business. This page should cover all ways a prospective client can reach you with email addresses, phone number, fax, and details of your operating offices. It is though advised to have your contact information or contact email id in the bottom of all your website pages. The contact page should also include the specific staff to contact for your various services and their contact details. You should also add here your social media profiles, web address and links to your Facebook, Twitter and Linked In profiles. Apart from these most important pages, you can have many other pages for your website depending on the products and services you are offering. You can have a page for Pricing, Blogs, Product Reviews, Newsletter, Frequently asked questions, Guarantee, Site Map and the list is really left to your imagination.